Daniel Bell reviews the new Sony Cybershot DSC-HX200V, a digital camera with an SLR style, 30x optical zoom and 18.2 megapixel sensor. 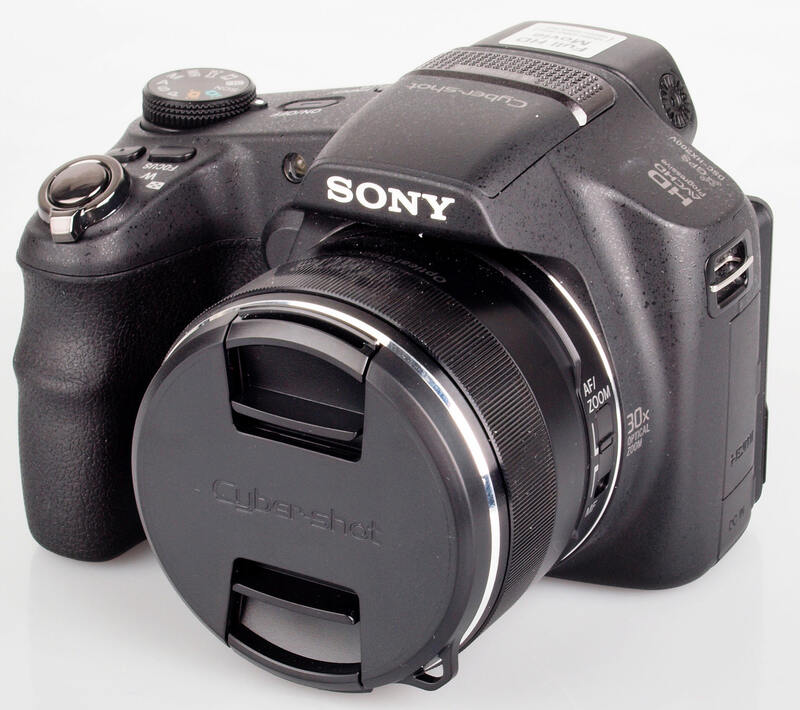 Sony announced the Cybershot DSC-HX200V in February 2012, a premium digital compact camera, with its headline features being an 18.2 megapixel sensor and 30x optical zoom lens. It is available in black for £379.00. The Sony Cybershot DSC-HX200V has an 18.2 megapixel Exmor CMOS sensor which works with its BIONZ processor to reduce noise for low-light shooting as well as Pixel Super Resolution which optimises detail and sharpness. There is a 30x optical zoom lens, a 35mm equivalent of 27-810mm which can be extended to 60x with Clear Image Zoom. Sony claim the camera will focus in 0.13 seconds even in dim conditions, with Tracking Focus to keep your subject sharp even when it's moving. 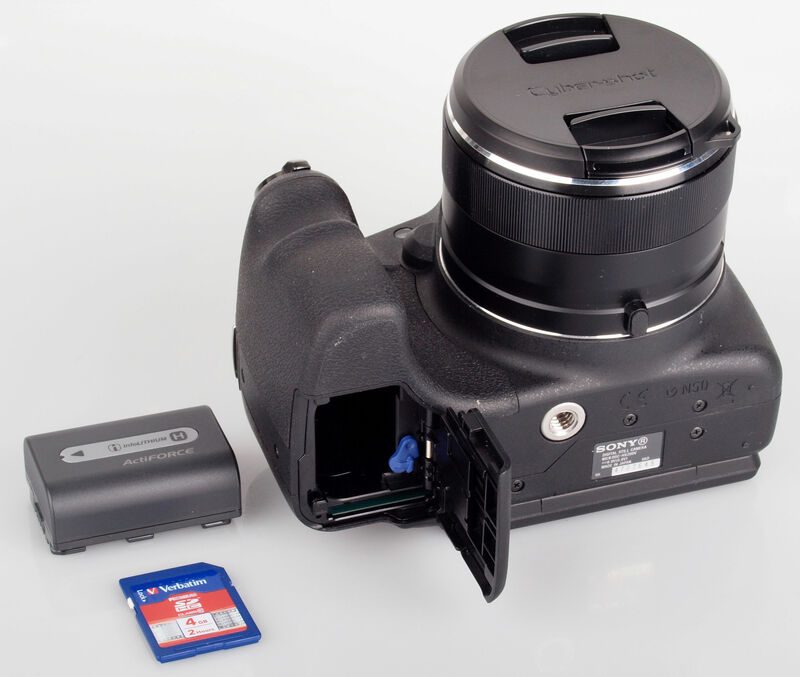 For beginners there is Easy Shooting mode with on-screen instructions and an in-camera guide. Superior Auto mode adjusts settings automatically for images with low noise and high dynamic range. There are advanced manual functions to give you DSLR-like creative control and the Photo Creativity interface is designed to make it easy to make quick adjustments to colour, brightness and other picture settings, which can be previewed in real time on the screen. There are also Artistic Picture Effect modes to make your images even more creative. The HX200V has a number of panorama modes, including Intelligent Sweep (standard, wide and high-resolution), 3D Sweep and Sweep Multi Angle. The Digital Level Gauge will help you keep your images straight and GPS geotags your images and video clips as well as log your journey and act as a compass. Other modes include Background Defocus, High-speed Continuous shooting at up to 10 fps, Face Detection, Smile Shutter, Backlight Correction HDR, Self Portrait Timer and Soft Skin. Images can be edited via the in-camera retouching menu. Videos are recorded at full 1080p HD with zoom available and Optical SteadyShot Active Mode correcting shaky handheld camera movements. You can even capture high-resolution images at the same time as recording movies. Videos can be viewed on a HD TV via a HDMI cable. The HX200V looks very much like an SLR, when sat next to the Nikon D3200 they are almost exactly the same size. The is a large hand grip which is rubberised with a dotted area on the rear for your right thumb. The body has a very solid, metal build with a wide array of buttons, mode dial and a tilting, 3 inch, LCD screen, which is bright and colourful. 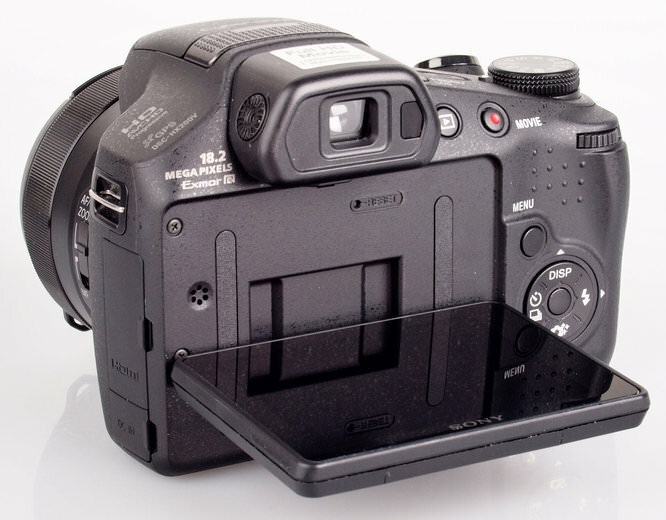 If you like to use a viewfinder, the HX200V has an electronic one which is automatically activated when you place your eye to it. There is also a dioptre wheel to adjust it to your eyesight rather than leaving your glasses on. There is a lens cap which gets stuck at times if you forget to take it off before switching the camera on. To avoid it falling to the floor, we recommended you attach it with the string loop provided. For those settings which aren't accessed via their own button, the menu system is fairly easy to navigate, although in a mode with a lot of options available, the list can be quite extensive. At the bottom of the list you'll find a further option to enter another menu to set sounds, time settings, etc. The battery has a CIPA rating of 450 shots, it managed over 850 before going flat after its first charge and this included some use of the GPS. The GPS is quick to activate when switching the camera on, taking around 10 seconds. We tested the cameras performance at focusing, shutter response, shot-to-shot time, continuous shooting etc. and have posted the results below. To test this we took 6 or more shots and calculated the average, so that consistent results were produced. Whether shooting wide, or with the full zoom, focusing speed is impressive. 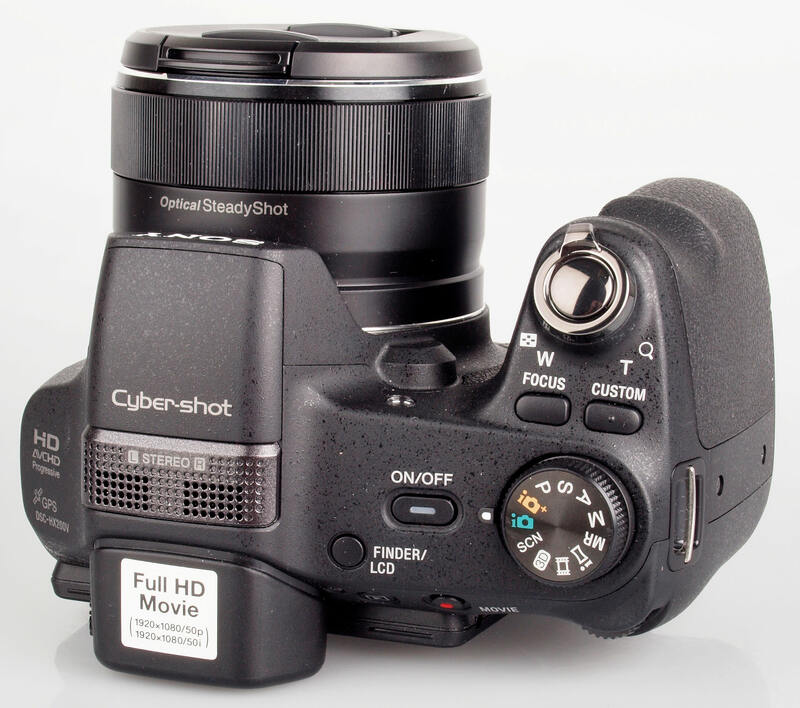 Continuous shooting High shoots full resolution images, with the HX200V managing the full 10fps promised by Sony. Sample Photos - Images are well exposed, with good colour reproduction. Background Defocus mode gives the effect of using a large aperture on a DSLR, blurring the background while keep your subject in focus. High sensitivity modes gives well exposed, bright pictures in low light. When using Superior Auto mode, the camera will (if it decides it's necessary) take multiple frames and combine then into a single image to reduce noise. Portraits have pleasant skin tones, our shots didn't have any red-eye, but if they do it can be fixed easily and quickly in-camera via the retouch menu. Lens Performance - Images have plenty of detail whether shooting wide or close up, although there is purple fringing and chromatic aberration evident in contrasting areas. When shooting close-ups, the camera doesn't require you to switch to macro mode, and with a minimum focusing distance of 1cm, it is capable of taking excellent, well detailed pictures. ISO Noise Performance - The HX20V takes a crisp, noise free image at ISO 100, with a minute amount appearing at ISO 200 and again at ISO 400. Noise at ISO 800 begins to soften images, with sharpness and detail further reduced at ISO 1600. Images are very soft at ISO 3200, but it is not until you switch to ISO 6400 and 12800 where you see lots of detail lost due to noise, with these two highest settings best used for images which are to be resized for use on the web, with colour reproduction remaining fairly good. White Balance Performance - Auto White Balance (AWB) copes well under our studio lighting. The incandescent and AWB settings take an almost identical picture under our incandescent lights. There are three different fluorescent presets available, none of which coped as well as the AWB setting, with a magenta cast when using preset 1 and orange casts for presets 2 and 3. Panorama mode - Panoramas are impressive, with a good amount of detail and no sign of any stitching issues. The High Resolution mode is difficult at times to complete, leaving a small black strip which can be easily cropped. The HX20V can be switched to manual mode to give you control over shutter speed and aperture, with an example above using a fast shutter speed to capture the sporting action. You can also use bracketing to take three shots at different exposure. We have done this in testing and have combined the three images in Photoshop to create a HDR image. Digital Filters - The HX200V has a range of colour modes and picture effects which can be applied while shooting, with examples of each above. Video - Below is a video shot at full 1080p HD, optical zoom can be used during recording, an example of which can be found on the ePHOTOzine Youtube page. The Sony Cybershot DSC-HX200V is priced at £419.00. 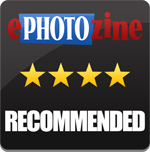 Other cameras with a similar zoom level include the Fujifilm FinePix HS30 EXR with 30x at £349.00, Canon PowerShot SX40 HS with 35x at £334.00, Olympus SP-810 UZ at £189.00 with 36x and Nikon Coolpix P510 at £319.00 with 42x zoom. The P510 is also armed with GPS, as is the Panasonic Lumix DMC-TZ30 at £274.99, Canon Powershot SX260 HS at £254.99, Sony Cybershot DSC-HX20V at £322.00 and Leica V-Lux 30 at £484.00. The Sony Cybershot DSC-HX200V is very similar to the HX20V, except it has more zoom, in a larger, SLR style body with an electronic viewfinder and tilting screen. There is an 18.2 megapixel sensor as well as a whole load of shooting features, extremely long battery life, making it an ideal travel camera. Image quality is good, the body has a firm, solid build, but the biggest issue with the camera is the price, there are plenty of good travel cameras available for less than £400, at least around £70 cheaper than the HX200V. Putting that aside, if you have the budget, the HX200V doesn't disappoint. 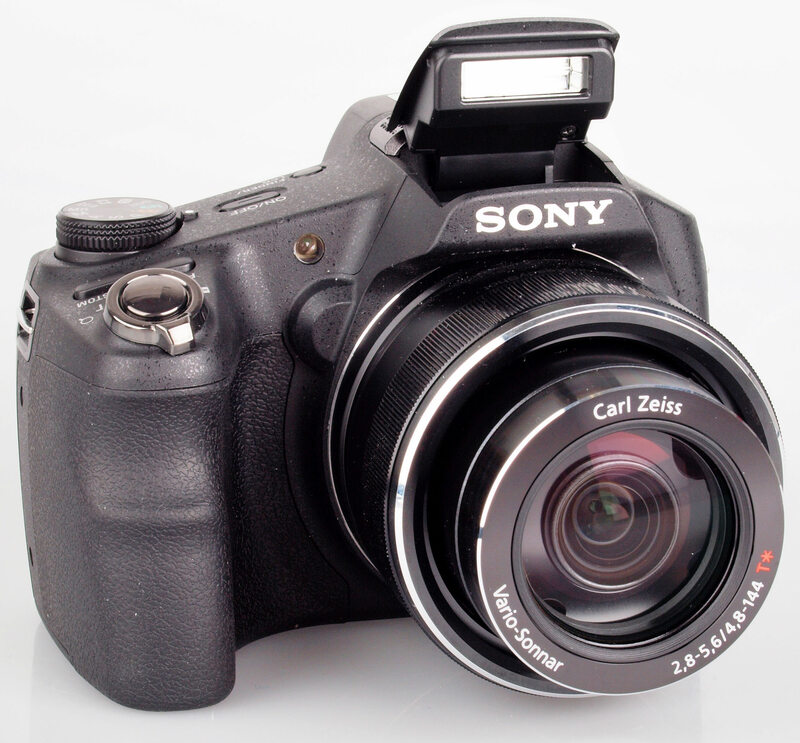 The Sony Cybershot DSC-HX200V packs plenty of zoom and has good image quality, making it ideal for travel photography.